Panic erupted early in the morning of Wednesday, June 7, 2017 as BPI account holders seemingly lost tens of thousands of pesos in their accounts. Some even had negative balances, which then sparked mass confusion and frustration on social media as people ranted and posted screenshots of their balances online. It took a good while before BPI finally came out with a statement regarding this incident. It turned out that there had been an “internal processing error” in their system, which led to some accounts having been debited or credited twice for a past transaction. BPI then suspended access to electronic channels in order to fix whatever went wrong, which they were able to identify shortly after the digital mishap occurred. Account holders are still able to inquire their balance through teller or ATM, so it is not like all of BPI had been crippled by this unfortunate circumstance. Files or transactions dated around April 27 to May 2 were affected by this glitch, resulting in them being recorded twice due to the processing error. BPI President and CEO Cezar Consing stated that the system ran a batch process on Tuesday evening and it had subsequently picked up the wrong files and transactions, thus resulting in this situation. While most people who were affected by this system glitch seemingly lost money in their accounts, there were also reports of some accounts actually getting inflated balances, seemingly becoming richer than they already were. However, this is merely part of the glitch, so withdrawing the seemingly newfound wealth may result in anomalies in the system that may lead to headaches in the future. After all, when something looks too good to be true, it most likely is. All BPI and BPI Family Savings Bank branches nationwide were kept open until 7:30PM to compensate for the gaffe. In the meantime, online access was still restricted as they continued to iron out the kinks in the system. This also means that if account holders receive any emails regarding any sort of account verification must be vigilant as scammers have been seen taking advantage of the situation by sending emails intended for phishing. While most of the fault is indeed BPI’s, there is something to be said about the uproar that the glitch caused in social media when people first started finding out about the wrong that had occurred. Informing others of such a thing happening is all good, but making it seem like things were worse than they really were is mostly uncalled for. If there is something to be said about social media, it is that you should take such things with a grain of salt, especially when an official statement hasn’t been released yet. The bank had issued an apology for the mess and have been working hard to rectify the whole thing. Meanwhile, the Banko Sentral ng Pilipinas (BSP) will conduct an investigation on the cause behind the discrepancies on bank account balances that came from this widespread system error. With BPI being the third largest universal bank in the Philippines, such a blunder is indeed no small matter. Instead of panicking, here are some tips that you might want to do while waiting for this issue to be fixed. 1. RELAX. BPI is doing their best to resolve the issue. You don’t need to do anything from your end. Trust them. I’m sure everything will be alright. 2. Go to the nearest BPI branch if you really need to withdraw cash. Make sure you don’t withdraw the money that you don’t own. Remember, all transactions will be tracked by BPI. 3. 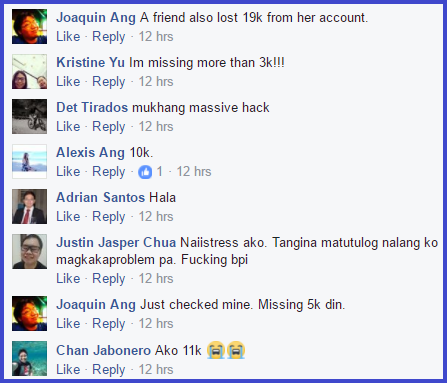 Don’t post the amount you lost from your BPI account due to this BPI system glitch especially if it’s a big amount. It might attract hackers or others to do something negative to you or to your account. 4. 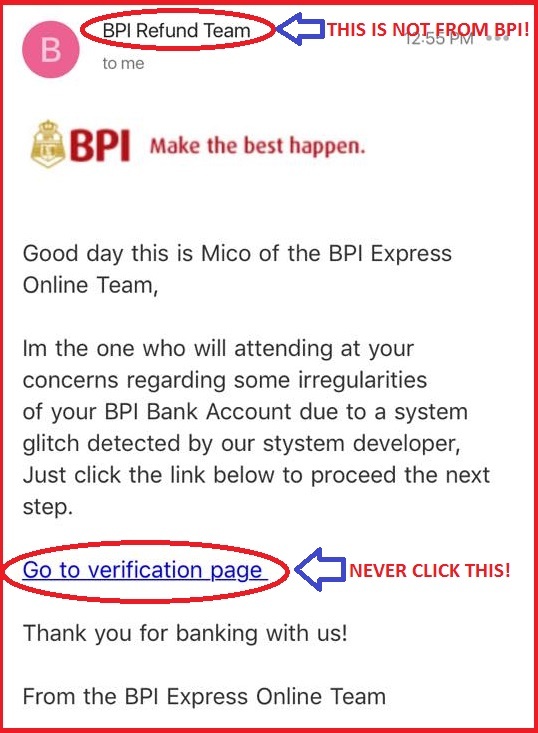 Neither open BPI-related emails nor click links unless it’s from BPI’s official email address which is expressonline@bpi.com.ph. BPI doesn’t usually send links or ask for personal information through email. Report to BPI immediately if you receive suspicious emails or calls. 5. Monitor your BPI Express Online account but don’t share your login and personal information to anyone. We hope you found these tips helpful and let’s all hope that BPI resolves this issue as soon as possible.